Designer Forrest Dowling talks about the unorthodox rougelite. One simple browser of Steam will yield a survival game or 10 and that’s on an average day. When The Flame in the Flood arrived last year, it was an odd beast. Here was a roguelite survival game that was also very focused on a memorable narrative. It’s still interesting to look back on especially since it released this past January for PlayStation 4. GamingBolt had a chance to speak to Forrest Dowling, designer at The Molasses Flood, about the decisions that ultimately defined the experience among other things. "We felt that a clear objective or end goal was something that was missing from the permadeath survival game genre, and felt like we could do something a bit different there." 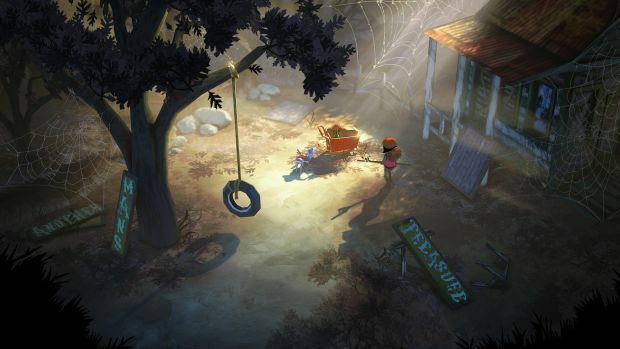 For a roguelike/survival experience, The Flame in the Flood seems more focused and intent on telling a memorable story. Was this the approach you had in mind at the beginning or did it organically come about over time? 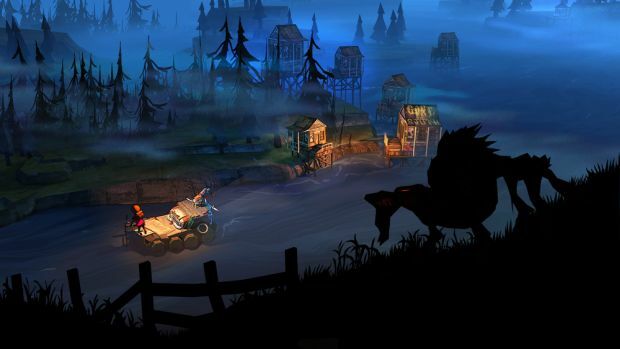 We always wanted to tell a story with The Flame in the Flood. We didn’t know exactly the form that it would take in the end, and we always knew we wanted to have a light hand with it, but we felt that having a clear goal or series of goals, and an end on the experience was important. 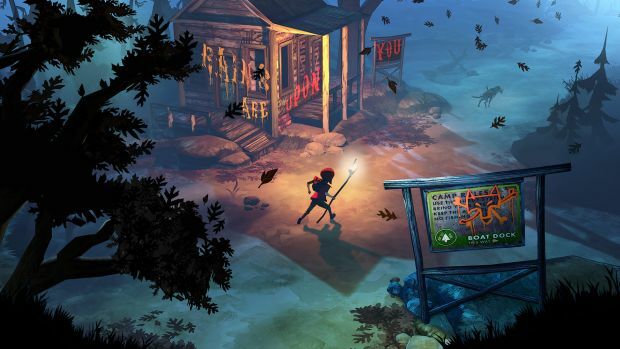 Most survival games tend to continue into perpetuity but The Flame in the Flood has an ending. What motivated this and how did it influence the overall campaign? Speaking for myself, I’ve always had a hard time staying engaged with a game that doesn’t have a longer form purpose or goal. That could be maxing out a character in a multiplayer shooter, or completing a campaign. We felt that a clear objective or end goal was something that was missing from the permadeath survival game genre, and felt like we could do something a bit different there. Were there any novels you looked to for capturing the atmosphere of the game? How did the river become such an intrinsic part in the theme? We always look to a lot of reference materials when working on a game: books, films, music, anything we feel is relevant. I think some of the big ones were Cormac McCarthy’s The Road, Stephen Ambrose’s Undaunted Courage, and to a lesser degree Huckleberry Finn. The river itself was initially conceived to address a gameplay desire for a driving force that would push the player forward and force them to keep moving. The choice of river, or atmosphere, the story, all that came from the simple gameplay need. "We all came from a AAA background, and were used to a much deeper well of resources in all aspects of game development." Many have especially praised the soundtrack. What went into its making? We were pretty hands off with the Soundtrack. Our Art Director, Scott Sinclair, has a long standing friendship and professional relationship with Chuck Ragan, the artist primarily responsible for the album. Chuck is a big outdoorsman, so when we approached him with the idea of the game he was immediately on board. We gave him a bunch of thematic ideas and experiences we were targeting for the player, and he went off into the woods for a little while to write the soundtrack. How did the game change over time? Was it more complicated – or simpler – than what we ultimately ended up with? Once we settled into the core idea after the first few months of concepting, the game largely met the anticipated level of complexity that we anticipated. Certainly some features changed, some things were cut, some things grew, but I think in the end it was largely what we set out to build. What were some of the biggest challenges faced in development? The biggest challenges we faced were largely related to scale and scope. We all came from a AAA background, and were used to a much deeper well of resources in all aspects of game development. We needed to be much more self-sufficient this time around. There was also a lot to learn related to new responsibilities and roles that would have specialized people in our last studio. For example we needed to run marketing, social media, business development, all the stuff that you’d have departments handling at a big studio. "If you like unique music, atmosphere, just something that feels very different, I think we offer a nice change of pace from a lot of the other titles out there." What are your thoughts on the UI being cumbersome and what’s being done to improve it? We currently have a patch in testing that should be rolling out soon that has a lot of quality of life improvements that require fewer overall UI interactions. Has the game performed as per your expectations since releasing across multiple platforms? We’ve been happy with the overall performance. Of course we’d have loved for it to have been a giant hit, but as our first game as a group we’ve extremely happy with the reception and sales. Will we ever see a sequel in the coming future or at least DLC to expand on the initial release? We don’t have any plans for a sequel or DLC. At this point we’re focused on our next project. 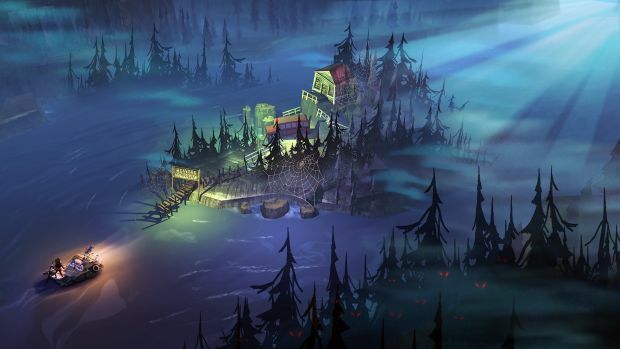 For those well-versed in survival titles and roguelikes, what do you feel will interest them most about The Flame in the Flood? I think we offer a unique take and experience within the realm of the survival genre. If you like unique music, atmosphere, just something that feels very different, I think we offer a nice change of pace from a lot of the other titles out there. "Historically, generational leaps have required new engines, new tech, and force developers to learn new tools and pipelines." As a developer what are your thoughts on this changing waves of technology war between Sony and Microsoft in terms of Pro and Scorpio? One thing I’m excited about is the idea that the consoles may be moving more toward the sort of evolving platform that is common on mobile platforms. Major generational shifts are extremely difficult to weather as a developer, so moving toward a more incremental approach hopefully will be less impactful on development. Do you think it would have been better for Sony and Microsoft to just release the next Xbox and PS5 instead of releasing iterative consoles? Historically, generational leaps have required new engines, new tech, and force developers to learn new tools and pipelines. Reducing that cost feels like a good step to me. Additionally, many developers, particularly smaller ones, rely on the long tail of ongoing sales to make ends meet. Generational leaps cut that tail off completely, whereas incremental steps seems less likely to do so. The PS4 is on a roll this year with so many games and exclusives. What do you think Sony has done right this gen compared to Microsoft? I hesitate to armchair quarterback too much, as I’ve never been behind the scenes of a major console launch, or even the ongoing operation of one, but I think Sony just had a stronger message out of the gate. Microsoft in some ways tried to be more ambitious, and it seems like consumers weren’t that interested in some of their marquee features like the Kinect. I think both have hit their stride a lot more, but as we’ve seen historically whoever is strongest out of the gate in a generational shift tends to keep their lead. "Safer to me in any form of art generally means less interesting." Do you think we will achieve photorealistic visuals whenever next-gen (PS5) kicks in? Considering that we still can’t do a convincing human face up close in a major film like Rogue One, I doubt that we’ll be seeing that in real time very soon. Hard surfaces are a lot closer to photoreal so maybe we’ll get there. Personally, I don’t care, aside from being actively against wanting to develop photoreal titles. I think better tech means games cost more to develop as art prices skyrocket, which means they need to recoup more, which means that everything needs to be safer. Safer to me in any form of art generally means less interesting. I’m personally most interested in anything that can be done on the hardware side of things to streamline and simplify things for developers, as the fewer tech obstacles we see, the more energy developers have to spend on solving more interesting player facing problems. 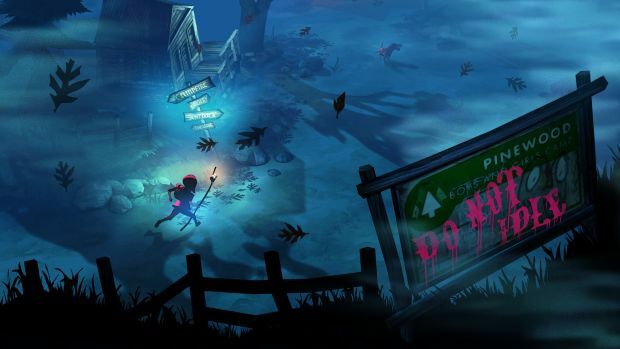 Will The Flame in the Flood run at 1080p and 60fps on both the PS4 and Xbox One? Furthermore, what kind of graphical enhancements in terms of resolution and frame rate will the Pro version have? We run at 30fps on the Xbox One. I’m not 100% sure of PS4 performance, as we didn’t do the port. We aren’t doing a specific enhanced version for PS4 Pro.